I have a room available in my lovely, peaceful Kedron home. The house features 2 living areas, a modern kitchen, large wrap-around verandah, a great yard with a fire pit and storage under the house. Flooring is polished timber and there is air-conditioning throughout the living areas. Bedroom comes furnished with bed and desk, (or can be stored) and contains built-in wardrobe and ceiling fan. The neighbourhood is nice and quiet with plenty of street parking. 10 min walk to buses or 10 min drive to the “Park n Ride” Eagle Junction train station. Shops and restaurants are a 2min drive or 15 min walk, and only 15mins drive to the city. I have 2 (friendly) cats, which means I am looking for flatmates with no pets. Sorry No Smokers. 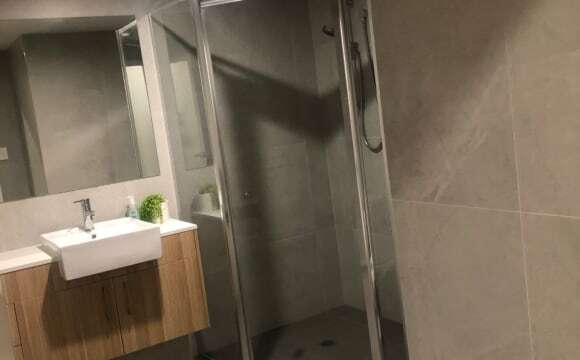 Modern and massive house located in a quiet, family friendly street, very close to public transport, Coles, Westfield Chermside, and all kinds of takeaway places. 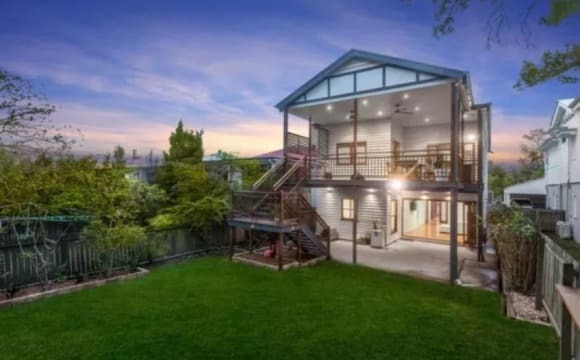 The house has two separate living areas, a massive modern kitchen, a pool and a nice outside area, and a small front balcony, and with heaps of parking available on-street. This is such a homely feel apartment, it’s an older apartment but it has been renovated. It has city views from the balcony. It’s so close to the city, main bus station and tunnel ride to the airport. U can park on the premise if u have ur vehicle. The main living room has air on, but I have found I’ve never needed as it pretty cool in summer and warm in winter. If u enjoy cooking the kitchen its quite spacious with a gas stove top. 2 large outside entertaining areas, a massive kitchen, two lounge rooms and plenty of storage space. The room available is situated downstairs in the house, and separately from the other rooms, creating a more private space. The bedroom has high ceilings and a fan. Unfurnished. At the front of the house. Can enter straight into the bedroom without having to go through the house. The property is in a great location, walking distance to a Coles shopping centre (400 m) and also Gympie Rd for buses to the city/valley/Uni. The house is only a very short distance to the Airport Link and Clem 7 tunnel networks or as another alternative, the Kedron Brook parklands and bikeways are just at the end of the street. It is also approximately a 7-minute drive to Westfield Chermside, 8 minutes to the airport or 15 minutes to the CBD/valley. Lawn mowing and gardening are included in the rent. Electricity and Internet are shared by the tenants. This is non-smoking house. Close to City and amenities. Bus stop less then 50 meters away, and less than 20 metres to kilometers of bike-ways and the Kedron Brook parklands. 300m to local Primary and High Schools, and just a few minutes to the new Kedron Coles. Perfectly positioned to take advantage of the transport infrastructure of the Airport Link, Clem 7 Tunnel Network and the City bound Busway. Smoking outside only. Fast unlimited NBN broadband internet will be included and free via wifi. This is not a party house, it is a clean, safe, uncomplicated house. Bedroom 1 is 3.9m x 3.5m (Taken) Bedroom 2 is 3m x 2.7m (Taken) Bedroom 3 is 3.4m x 2.9m (Available) (Double bed) Prices quoted are for singles only, couples negotiable. Large room with big wardrobe, own bathroom and has big balcony. The unit is close to Kedron Brook busway, has on and off street parking, a study if you would like to use this room for a desk or storage and beautiful views of the park. Comfy, modern apartment. 10 mins from the city, 200m walk to the bus to the city. Great balcony - north facing and perfect for entertaining. Aircon in the living area, ceiling fan in bedrooms. You will have your bedroom with ample built in wardrobe space and ceiling fan. Your bathroom is attached to your room (en-suite) but with second door to living area - so would be shared with guests. This property is close to everything. You can catch the 333, 370, 340, to the city from kedron north bus stop which is a 8 minute walk from our place. Also on the opposite side those buses can take you to Chermside Westfield. It's a 5 minute drive to Prince Charles hospital and Chermside Westfield. A 15 minute walk to Coles Kedron, KFC, Subway, Baskin Robbins, Master Noodle- the best noodles in Brisbane!!! :) we are also near cafes, retro espresso, lacuna, beanbag espresso. There is a bakery 10 minutes walk from our place, and a convenient store around the corner. 2 large sunlit rooms available in a charming, newly renovated 3 bedroom house in Wavell Heights. Open plan living with polished floors throughout and huge yard, overlooking Keith Bodan Reserve with plenty of walking and cycling tracks very close by. It's a quiet street with plenty of parking available on the property. The house is fully furnished and the laundry includes a washer and dryer. The rooms are $200 and $220 per week which includes all bills and unlimited wifi. Both rooms have large mirrored wardrobes, ceiling fans, block out blinds and curtains. 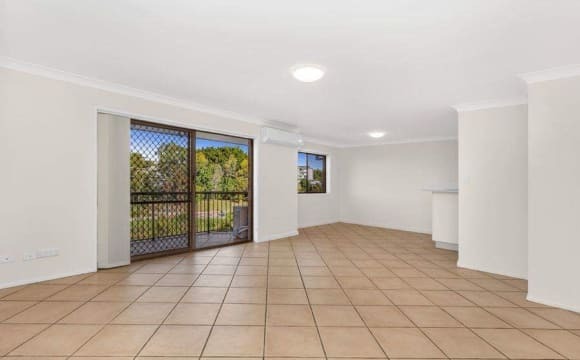 The house is in a great location - 2 min walk to one of the local coffee shops, 4 mins to Coles, 7 mins to Chermside Shopping Centre, 1 min walk to bus stop 42 on Edinburgh Castle Rd (320 and 333 into the city), 5 mins to Wooloowin Train Station, 4 mins to Gympie Road, 6 mins to AirportLinkM7 (toll road to Gold Coast), 10 mins to the airport, 13 mins to the Gateway Motorway, 15 mins to the Inner City Bypass, 17 mins to CBD. If you're into keeping active there's a number of walking and cycling tracks, 2 mins walk to the new indoor swimming pool on Edinburgh Castle road and a bunch of gyms within 5 mins. Lots of good food options around including all the new restaurants at Chermside Shopping Centre and Food Truck Fridays every Friday night at the Norths Rugby Union Club (1 min drive or 5 min walk). 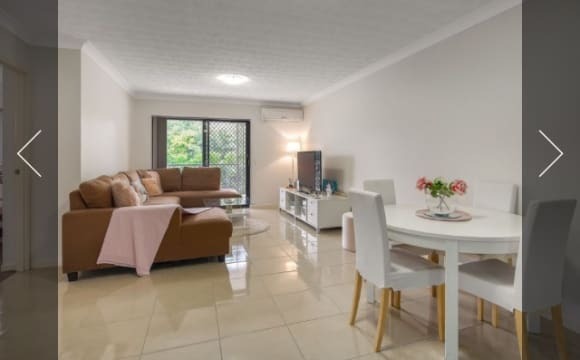 This property is well located, close to both Toombul and Chermside shopping centres, Brisbane Airport, local bike ways and parklands, and nice coffee shops, bus stops and train line. The flat is a fully furnished self contained with plasma tv/dvd, toaster, kettle, iron and iron board, microwave, fridge, oven, cutlery and crockery, single bed and linen. This flat is intended ideally for single professional person who enjoys the convenience of being close to the city and being located in an up market suburb. Bus stop at the end of the street will get you into the city within 20mins. Many cafes within walking distance. Kedron brooke close by. Loads of street parking so thats never an issue. Chemist, gym, bakery, GP, servo at the end of the street and Local shops just down the street has a cinema. Only a 5-10 min drive from chermside shops. Great location! The apartment is fairly large in a quiet area. The living area is air-conditioned, this reaches into the bedrooms. The home is furnished enough that you would only need to bring your bed but if you had the odd piece I'm sure it would fit. Huge furnished double bedroom in large two bedroom, first floor flat. This room is available now either furnished or unfurnished. The whole flat has just been freshly painted and is easy to fall in love with. Your room has full size build-in wardrobes and a wide window to let in the fresh breezes. It is currently furnished with a comfortable double bed, a desk, bedside drawers, a bookshelf and there's still plenty of space to swing a cat! The living space is big enough for a family, so you'll be spoilt for choice on where to hang out. The dining table is big enough for a family of six, there's plenty of space to spread out in the lounge and the balcony is cool all day. I've filled the kitchen with plenty of equipment- microwave, kettle, blender, toaster, china, cutlery, pots, pans... The fridge is full size and there's plenty of storage space. I enjoy cooking and I don't mind sharing a meal every so often. There's a separate toilet and bathroom and with only me to share with, it's more than enough. Need more storage? There's a huge linen cupboard and cleaning cupboard in the hallway and a large lockup garage down stairs. There’s a washing machine in the laundry and there are washing lines both outside and in the garage. I don't have a car, so you can put yours in here. The owner of this unit block is very approachable so forget the usual real estate hassles. Putting up picture hooks has been no problem, I've been allowed to paint everywhere! The street is just behind Lutwyche Road, but there's a handy block of flats there that blocks out all the noise and you'll hear plenty of birds singing when you sit on the balcony. The street also has plenty of parking space when your friends call around. Lutwyche shopping complex and Lutwyche bus station are an easy 5 minute walk away. From here you can access the city, RBWH, QUT, UQ, Griffith Uni and Chermside easily with just one bus. There are night buses that run on weekends, so there'll be more in your budget for the important things in life. Bills are simple- just electricity and a kitty for milk and cleaning products. This unit is spacious and well designed. Your room includes your own bathroom next door. You also have air conditioning. There is a separate laundry with washing machine and dryer. You can shut off your room and bathroom to make it more private. The kitchen has German-made appliances. The balcony is huge with city views. The unit is furnished apart from your bedroom! There is a fantastic communal rooftop terrace with a BBQ. Great for fireworks! Location: - Walking distance to shopping centre - Major bus station across the road - 10 minutes from train station - very close to the city - short trip to QUT or RBWH - close to entertainment precincts This is a smoke-free apartment and smoking isn't allowed in communal areas. People won't have any problem living at our place. It feels like it's their own house. Everyone is so friendly and helpful. Looking for someone to rent the second room in my renovated Queenslander/Workers cottage in Stafford. Massive renovated kitchen &amp; bathrooms - Plenty of living space. The house is majority furnished. The room is light and airy and includes a sleep out/study area with direct access to the main bathroom. Available in late March. We have a room available at our home from this coming week. Sadly our much loved flatmate is moving back home to Rockhampton so we need a new roomie to join our household of 3. What it’s like here : -4 bed 2 bath ( 1 spare room always for guest or roomie use) -Heaps of room, 2 lounge rooms!!! This means we’ve got plenty of space if you’ve got any furniture you want to bring. -Bathroom is shared with a couple who are hardly home. -Big yard with a lot of space to chill. -close to transport (seconds walk to the bus stop) -close to chermside -8km to the city. -15m to airport Your possible new Flatty’s : - Me, 34 male. Own the place and have been here 5 years now. 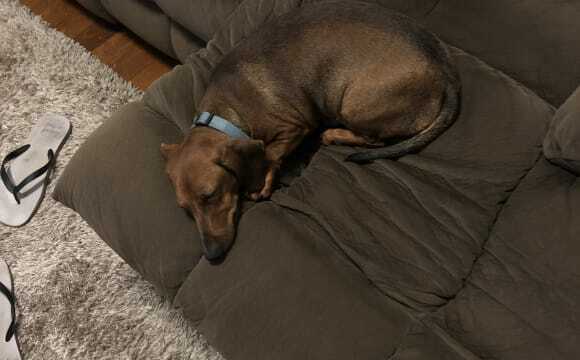 I have my own lounge and ensuite which means we all have room and privacy. I work Monday to Friday and happy to chat or have a drink. We are def not a party house. Those days are gone , maybe 4-5 years ago 😂. I’m relaxed and have no issues if you want people around. I just ask you to respect your flat ties and neighbours. You: Friendly , respectful and easy going. We have a pretty chill house and are looking for someone similar. Bring your furniture and come join us :) Looking for someone more long term. $200/week per room to share bathroom with another flatmate. 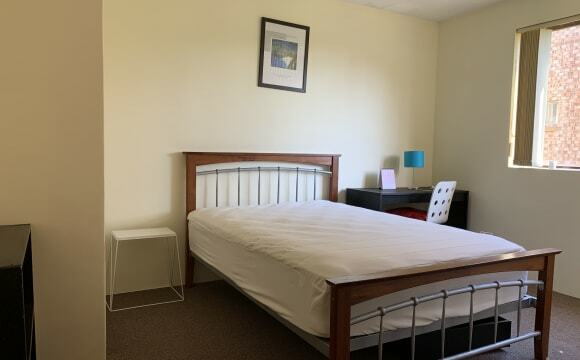 ONLY ONE ROOM AVAILABLE NOW Fully furnished and secure (security grills on all windows) flat in Lutwyche, located only 150 metres to Lutwyche bus station, 300 metres to Centro Lutwyche shopping centre and a 10min walk to Wooloowin train station. Shopping centre includes Coles, Aldi, Pharmacy, Liquor store and other various stores. PERFECT for students - direct buses to QUT Kelvin Grove and CBD. Kitchen has recently been renovated and includes all new appliances. Large laundry area with washing machine included and adjoining bathroom. 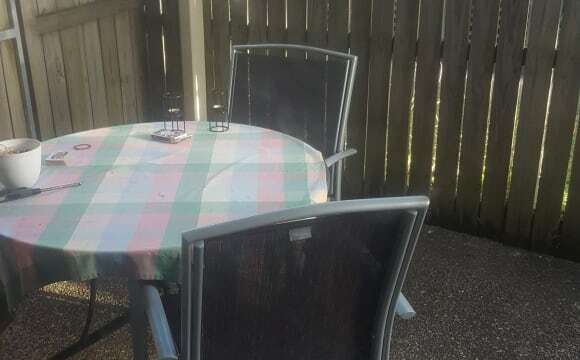 Free use of the large fully fenced backyard with separate entrance to flat. Non smokers only and street parking available. Hi, I've lived in this house for 7.5 years, so it really feels like a home and not a share house. We are close to Stafford Road, so Stafford City is only 1km away, bus is a 3 minute walk, and of course the tunnel to the airport or the city is only 2 mins drive away. About 6 km from the city, so getting to town is about 20-30 mins by bus, depending on the traffic. 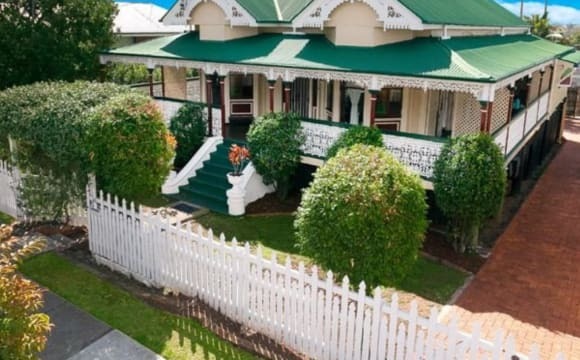 The house is an old Queenslander, a little run down but with loads of character! We have Optus connections with unlimited internet and Fetch TV. We also have a cat, so if you are allergic, please be warned! As we already have a pet, we are not allowed to have any other animals, so sorry if you are looking for a place for your fur baby... I am smoker, but I do so outside, and hope you will not mind doing the same if you smoke. Room 1 is a private bottom level flat of our two story house, which comes with all amenities necessary (Bathroom, bedroom, kitchen, undercroft, washing machine, carport, backyard, storage). Amazing location, 500m from Wooloowin station, Eagle Junction station, Melrose park, with a cafe across the road. Also a short walk (1.5km) to Kalinga park! Fantastic location, great unit size and layout. 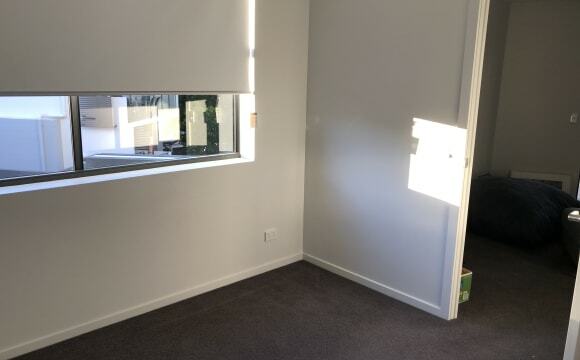 This unit is 200m from the Lutwyche bus station so it is in a great position for workers and students alike. It is also about 50m from a great dog off-leash area and Kedron Brook bike path. It is also about 250m from the luwtyche shops and multiple gyms. Also just across the street from an amazing cafe. This unit has been re-carpeted and painted only a month ago, so it is nice and has a new feel for the next person to move in. The rest of the unit is furnished, with all the essentials needed, including a brand new Bosch Washer and TV Unit. Also the balcony is a great size for entertaining, an afternoon drink or a morning coffee. The bathroom is shared, however the toilet is separate. There is also plenty of cupboard and storage space in the unit. Happy to answer any questions or provide more info on request. 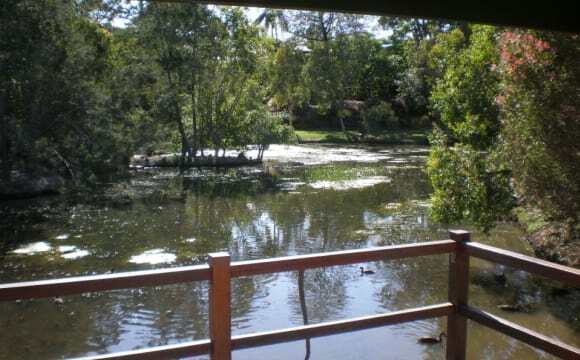 This place is very close to Chermside Westfield, close to public transport and the neighbors are lovely. It is not a party house so please be aware of that. Smoking is ok but only outside where the chairs and table are. We are located in an extremely convenient position in Lutwyche. Less than a one minute walk away there is a shopping centre (Lutwyche City), gyms (including Fitness First, Jetts, Snap, F45), pub and a mix of other shops, restaurants and facilities. Also within a 1 minute walk from the front door are regular buses direct to the City (12 min), Fortitude Valley (8 min), Kelvin Grove QUT / Normanby (6 min), Royal Brisbane Hospital (5 min), Chermside (10 min), Cultural Centre and more. The Albion and Wooloowin train stations are only a 15 minute walk. Despite being less than a few minutes walk from all these facilities, the street is quiet and backs onto a lane way which leads to acres of parkland and the Kedron Brook waterway. 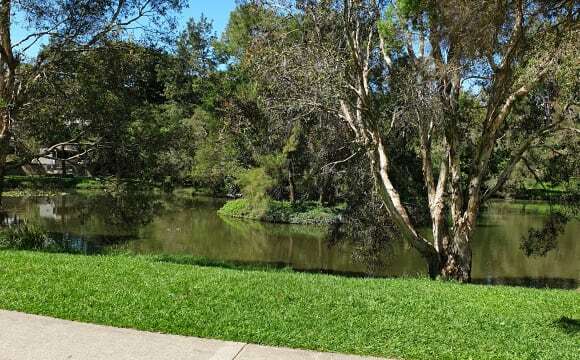 The Kedron Brook waterway has kilometres of walking, running and bike tracks. The available room is available furnished or unfurnished and has a key lock. Both the bedrooms and living areas have smoke alarms installed. We have a beautiful kitchen with dishwasher, microwave and gas stove / oven. The bathroom, lounge and dining areas are clean and spacious. There is also a laundry (with washing machine), outdoor back patio and a large, private and sunny back yard with a hammock and barbeque. The house is cleaned regularly. Rent is $175 per week (includes electricity, gas, water and unlimited WiFi internet) and bond is $350. 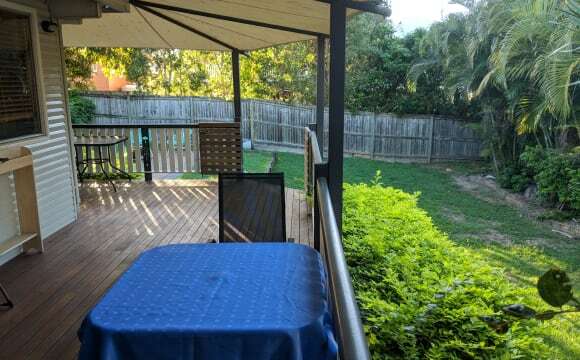 This location would suit a single person who is after a very convenient position in a quiet house that is close to a shopping centre (30 second walk), public transport and the City, Valley and Chermside. Non-smokers only please. The Room: Available from the 4th May. Is the largest with two french doors out on the balcony, 3 floor-to-ceiling built in double wardrobes and a ceiling fan. This room shares the main bathroom with the existing flatmate. We’re ideally seeking a responsible working professional, likes a chat but someone who is independent. About us: My partner Gregg and I both work from home full time in finance. 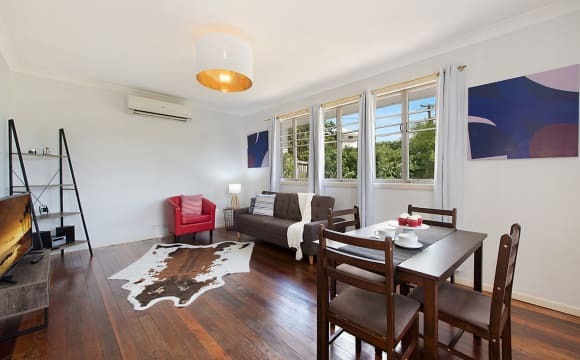 We own this old large 4 bedroom Queenslander in Clayfield. We have 1 existing flatmate who works full time as a Programmer who loves the outdoors. Your room shares the main bathroom with Alan. We have two mini schnauzers, both fully house trained, clean and don’t shed. They settle well with flatmates who play and pet from time to time. Our home: Amenities included large swimming pool, two outdoor areas for relaxing and BBQs - all great for a true Queensland summer. Upstairs and down stairs are two living rooms, both equiped with a Apple TV including Netflix and Stan that gives you extra space if needed just to have some alone time. Of course we have great Wi-Fi to boot! Rent is $250 p/w which includes all utilities so no extra bill surprises which is a great bonus! We do ask 4 weeks bond which is lodged with the RTA and 2 weeks in advance. We’re literally a one minute walk to Eagle Junction train station which makes it only a 8 minute trip on any Express train to the city or Airport. Looking for a tidy, clean and respectful person to join our home.